The left wing comrades of solidarity group organized an event to commemorate the birth of Chairman Mao in Beijing, Shaoshan and other places on December 26, 2018. There are millions of people in China organize relevant activities on this day to express their yearning for a fair society. However in the next few days, 9 members of solidarity group and supporters were arrested successively. And another member of solidarity group, Zhan Zhenzhen who is a student of pku, lost contact after commemorative event suddenly. Only five days later, he was forced to withdraw from school without any defense opportunity. Even if it is only this, it is enough to shock the world. However, the evil forces are far from stopping their reactionary actions. During this time, there were other 8 graduates in Nanjing was arrested and no imformation yet. If you can recall “8·25 Zhiyuan Society Incident” that happened in Nanjing University Of Chinese Medicine in 2017, the police forcibly summoned several left-wing students who participated in the activities who particapte in the activities of Zhiyuan Society in the name of “illegal organization”, it is easy for you to understand that these left wing comrades who graduated decided to protest because of the inspiration of the events of the Guangzhou Reading Club at the end of 2017, demanding the restoration of Zhiyuan Society. We speculate that this arrest is an attempt to counter-attack the comrades in the Guangzhou Reading Club incidents such as Gu Jiayue, Zheng Yongming and Xu Zhongliang. The evil force more eagerly, the more incompetence they exposed. This kind of blow can not hurt the fundamentals of the support group, but it also adds a firewood to their own end. Meanwhile, even two ex-security guards of PKU who had successfully defended their rights Cao Jian and Ma Zisheng was secretly arrested and imprisoned with the accusation of disturbing social order. The authority believed that their active participation in the activities which were held by Worker’s House disturbed the social order. And the direct cause is that the PKU admin followed the order of suppressing MS, and forbidden them into the campus. Meanwhile, the student of PKU Health Science Center (PKU-HCC) Feng Junjie again disappeared without any notice. Feng has disappeared at the end of November 2018 after his parents forcedly took him home under PKU admin’s intimidation and instigation. At January 17th 2019, another students of PKU-HCC Wang Mengjie who had supported Jasic Workers Support Group and spread struggle information was pulled into a taxi and forcedly took home. The students who wanted to help Meng was controlled by the personnel of PKU’s Student Affair Department and Security Department. These realities unveiled the PKU admin’s role in its students’ disappearance. Label activists with whatever accusation, falsify evidence, threaten students’ parents, intimidate or kidnap the supporters… are they going to have more ridiculous acts than these? It’s already very clear that they’re lifting the rocks only to harm themselves, because they have betrayed the commonwealth. They think that they can defeat Jasic Worker’s supporters, silence the young activists, suppress Marxism in the ex-socialist China, or forbid Chinese workers to use Marxist weapon? Then they are day-dreamers. 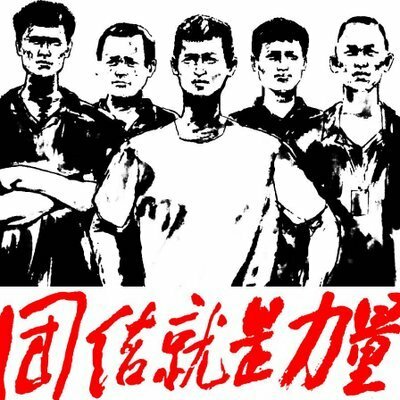 Regarding the crackdown on the pneumoconiosis workers and their supporters (e.g., recently arrested NGO activist Baozi), the evil power consistently crackdown not just Jasic workers and supporters, but any group anti-oppression. However, where there’s more oppression stimulates more rebellion. We have always believed that ‘people, only the people, are the creators of history, and those against people will eventually be buried by history.